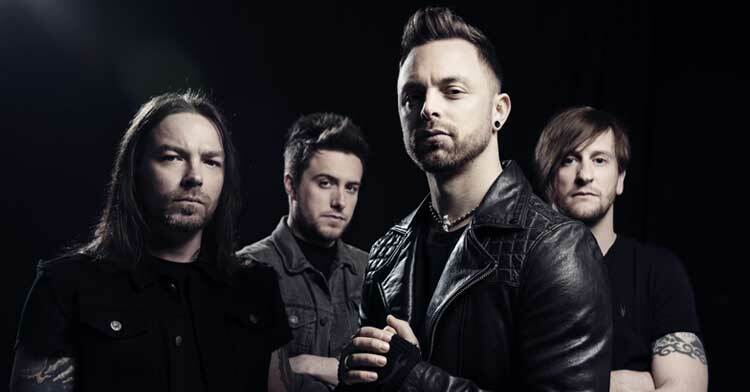 Bullet for My Valentine drummer Michael "Moose" Thomas will be temporarily replaced to spend time with his wife, who is expecting the birth of first child. Bullet for My Valentine said in a statement: "Our brother Moose got the wonderful news late last year that he and his wife are expecting their first child together, which I'm sure you’ll join us in congratulating them on! In light of this, Moose has made the decision that, after ten years of non-stop touring, he's going to take a few months out to be at his wife's side around the birth. We support him 100% in this, and we thank our good friend Jason Bowld for agreeing to step in on the drums in the meantime. Our touring cycle will remain unaffected by this, and Moose will be back in the hotseat later this year ready to kill it again!"